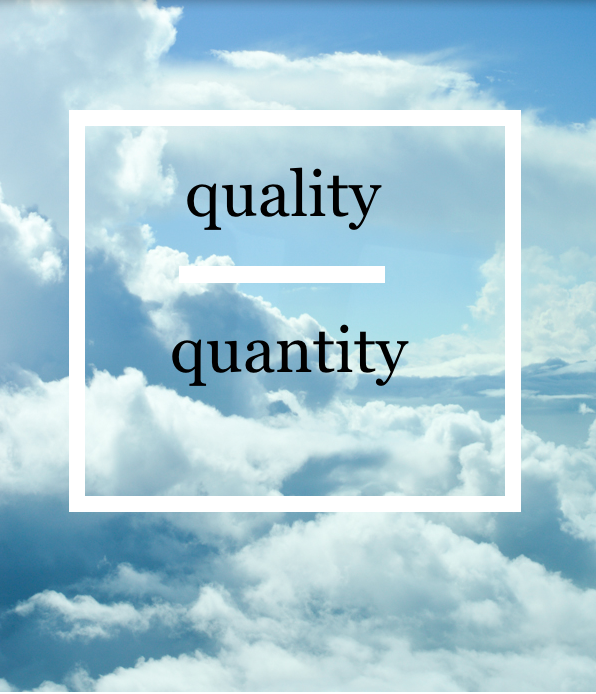 Often, I receive questions related to quality & quantity. Once Sailing the Sea of Style gained an active readership, I began to plan out more on the business side of blogging. Planning out more definitely has improved things around here. But because I was looking too much into the numbers of blogging, I noticed the quality of some posts slipping. When I was posting five-six times a week, I often found myself clicking "publish" just for the sake of having a new post. One of my resolutions is to grow STSS more and that means original, quality content all the time. I applaud bloggers who can whip out awesome daily posts- I simply don't have enough time to do that. My goal is to put 120% of my effort into each post and make sure my blog is a direct influence of who I am as well. Sloane, your blog has quickly become one of my favorites, and this post certainly cements it. Blogs that post every day do quickly lose quality, and I'm glad that you won't be one of them! I love your outfit posts (and am SO jealous of your travels! ), and I'm glad you'll continue to maintain the high level of quality I've come to expect from Sailing the Sea of Style. Keep up the great work!!! “…my blog is a direct influence of who I am as well.” – I agree. You always have to make sure to have the right content to attract readers and followers. It's a lot better to concentrate on providing content that actually has quality than focusing on creating as much content as you can on a daily basis. Readership is earned by providing your audience something that gives them value.